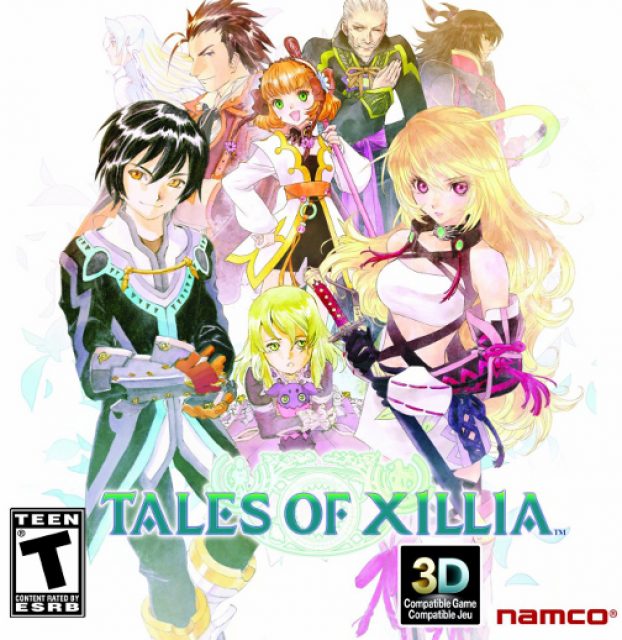 The thirteenth title in the Tales franchise for PlayStation 3. Tales of Xillia sells a large number of DLC packs that are essentially paid cheat codes. There are four separate "Level Up +5"-packs ($3 each), two "Level Up +10" packs ($4.50 each), and three packs that each provide you with 300,000 "Gald", the game's currency ($4.50 each). Each of these takes effect once per playthrough - so, if you were to purchase all of them, every new game you started would see your characters starting off at level 41, with almost a million Gald in the bank. There's also a vast number of costumes and adornments, costing $1-$3 each. A few pieces of DLC are free, including one that provides 1,000 Gald, one that adds a few extra texture-swapped costumes, and one that provides a once-per-playthrough infusion of in-game consumables and materials. has realized that "$4.50, please" is more lucrative for the publisher than "rosebud;!;!;!;!" Tales of Xillia sells a large number of DLC packs that are essentially paid cheat codes. There are four separate "Level Up +5"-packs ($3 each), two "Level Up +10" packs ($4.50 each), and three packs that each provide you with 300,000 "Gald", the game's currency ($4.50 each). Each of these takes effect once per playthrough - so, if you were to purchase all of them, every new game you started would see your characters starting off at level 41, with almost a million Gald in the bank. There's also a vast number of costumes and adornments, costing $1-$3 each. A few pieces of DLC are free, including one that provides 1,000 Gald, one that adds a few extra texture-swapped costumes, and one that provides a once-per-playthrough infusion of in-game consumables and materials.